So the rumors were not true: Law & Order: Special Victims Unit and True Blood star Christopher Meloni did not play Lex Luthor in Man of Steel in what fans speculated to be a closely-guarded secret. 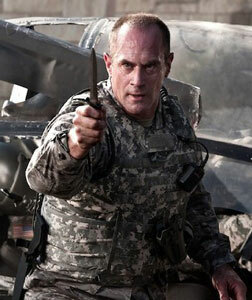 Instead, Meloni played Colonel Nathan Hardy, one of the many American soldiers faced with dealing with a battle of super-beings. In an interview with New York magazine, Meloni reveals that though he didn’t play Superman’s arch-villain, he did almost kill someone on set.